One American M109 155 mm self-propelled howitzer in 28mm or 1:56 scale. One NATO M270 MLRS, self-propelled multiple rocket launcher in 28mm or 1:56 scale. One MAN KAT 1 truck in 28mm or 1:56 scale. One German Marder 1A2 ICV in 28mm or 1:56 scale. One German Roland Surface-to-air (SAM) missile system mounted on a Marder in 28mm or 1:56 scale. 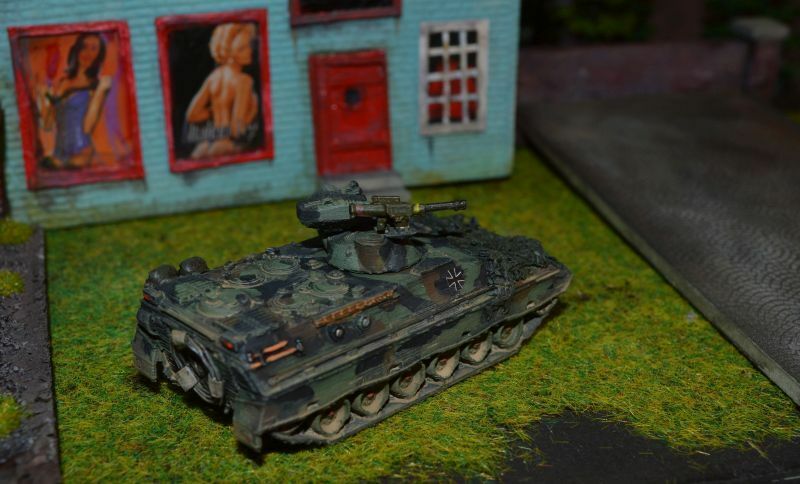 One German Spahpanzer 2 Luchs in 28mm or 1:56 scale.